Pearls in Policing is a global think tank where top executives in law enforcement meet to discuss the strategic and personal challenges of their organisations. In a small and informal setting, these law enforcement leaders are provided the opportunity to truly focus on the future of their profession. Wisdom is gained, amongst others by the input of the International Action Learning Group (IALG, also known as the Pearl Fishers), intensive debate, working group input and peer to peer consultation. The new IALG group 2017-2018 started with the first seminar in Brussels from 26 November to 2 December 2017. The group consists of 20 participants from 13 different countries and 2 international organisations. This year’s conference theme is ‘Policing Fractured Communities’. The IALG assignment asks the participants to identify the problems within their organisations, but also outside their own regions. Their recommendations should focus on cross-border partnerships. More information about the IALG assignment can be found here. For this year’s participants list please click here. On Monday 31 July 2017, former commissioner of the Netherlands police Gerard Bouman (64) died from the effects of a serious myocardial infarction in the weekend of 24/25 June 2017 during his holidays in the United States. 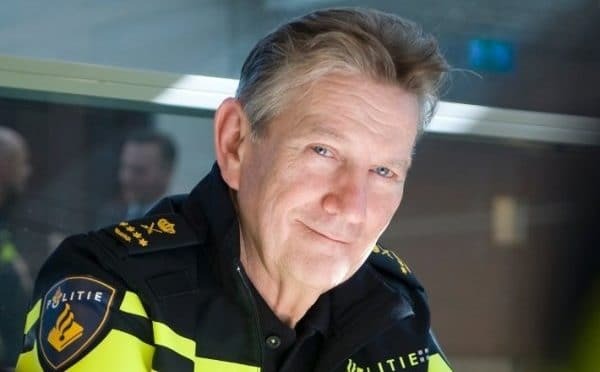 Dedicated human being From January 2013 to February 2016, Gerard Bouman was the first commissioner of the Netherlands Police. Between 2011 and 2013 he was one of the coordinators preparing the creation of the new force. His close colleagues knew him as a dedicated human being, humorous, straightforward, and with a great sense of justice. He was someone who devoted himself to his work and always had confidence in others. Now available: Pearls conference content 2017 “Fragile States, Fragile Communities” on our website. The participant list, working group presentations and the executive summary which covers the outcomes of the Pearls conference 2017, held from 10-14 June in Toronto, Canada, is now available on our website. This information can be found under ‘Conferences, 2017’. Now available: Pearls report 2016 “Uniting Global Law Enforcement” on our website. The Pearls report 2016 “Uniting Global Law Enforcement” is now available on our website under ‘Conferences, 2016, Report’. Emile Perez (participant of several Pearls in Policing conferences) has been appointed as the new Chief Security Officer and Business Intelligence at EDF (Électricité de France), the number one producer of energy and power in the world. The 11th Pearls in Policing Conference will be held in Toronto, Canada, between 10 and 14 June 2017. The 2017 conference, themed ‘Fragile States, Fragile Communities’, will be hosted by the Toronto Police Service in Canada and the Pearls Secretariat in the Netherlands. The new IALG Group 2016-2017 started with the first seminar in Brussels from 24-29 October 2016. The Group consists of 17 participants from 12 different countries and organisations: Australian Federal Police (AFP), Belgian Federal Police, Berlin Police, Bundeskriminalamt, Colombian National Police, Europol, Federal Bureau of Investigation (FBI), France Ministry of Interior, Hong Kong Police Force, Interpol, National Crime Agency (NCA), National Police Directorate Norway, Netherlands Police, New South Wales Police Force, Royal Netherlands Marechaussee, Singapore Police Force (SPF), South Australian Police and Toronto Police Service. Find here more information on the IALG assignment and here the list of participants. We are deeply saddened to inform you the loss of our Danish Pearls in Policing 2007 participant Ms Hanne Bech Hansen. She died on September 17 at the age of 77. Hanne Bech Hansen, former Commissioner of the Copenhagen Police, head of the Danish National Security Service and public prosecutor, retired in 2009 after more than 40 years of service in law enforcement. Following retirement she became a popular lecturer and writher. She published three novels. Hanne Bech Hansen was widowed in 2002 and is survived by her son. She will be truly missed. The summary covers the outcomes of the Pearls conference 2016 held from 11 -15 June in Sydney, Australia. For the digital version, please scroll to: Conference 2016, Executive Summary.